CBS found a winner of a sitcom with the long-running How I Met Your Mother, so it was only natural that the network tried to recreate the magic with a similar series. The original now may be more memorable for its controversial ending than for the nine seasons of laughs at this point, but there was potential in a spinoff of sorts. Unfortunately for those looking forward to more of the spinoff, How I Met Your Dad never made it past the pilot stage. Now, the script for the pilot has reached the light of day, and we can see for ourselves just what might have been if How I Met Your Dad had been ordered to series. The pilot would have followed Sally Javits (Gerwig) in the immediate aftermath of her brief marriage falling apart. In the script, she moves in with her brother Danny (Santino) and his husband Todd (Tarver). Danny disapproves of everything from Sally’s failed marriage to her sloppy lifestyle, but Sally has an enabler in the form of her fun-loving BFF Juliet (Sircar). The strings aren’t all cut between Sally and husband Gavin (Holm). Still, she jumps into the deep end of the dating pool by going out for a “nail and bail” with the unassuming Frank (D’Agosto). The script made it online thanks to the TV Writing website, and there were definitely enough laughs in the script that the pilot deserved to get a shot on primetime. Even if the cast comprised of Greta Gerwig, Tiya Sircar, Andrew Santino, Drew Carver, Nick D’Agosto, and Anders Holm hadn’t had the chemistry or comedic chops to match the cast of How I Met Your Mother, the writing had good jokes; presumably some of them would have landed with viewers. At the very least, it would have been fun to hear Meg Ryan fill the narrator role on How I Met Your Dad. On the whole, there are actually fewer direct parallels between the pilot of How I Met Your Dad and How I Met Your Mother than might have been expected. 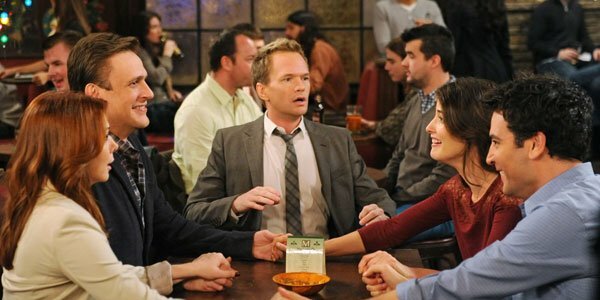 After all, How I Met Your Mother’s format did sustain the comedy for nearly a decade. Aside from the narration, flashbacks, and "Gotcha!" ending of Sally telling her kids that her pilot love interest is their “Uncle Frank,” there are enough differences between the pilots that How I Met Your Dad could have stood on its own. Given the backlash against the Mother ending, Dad might have even come to a more satisfying conclusion after a long run. Alas, CBS chose to pass on ordering How I Met Your Dad to series, and Sally’s children will never learn just how their mother met their father. The pilot script is at least a fun read. To see what shows actually will be hitting the airwaves as full series in the near future, check out our schedule of summer premiere dates.